Looking for Diwali Gifting Ideas? You have reached the right destination. This diwali, gift something special to your Employees, Business Associates, Clients, Friends, Relatives etc. 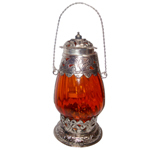 Silver Gifts are the traditional gifts for the occasion of Diwali. These are available in huge variety and trendiest of designs at the time of Diwali Festival. 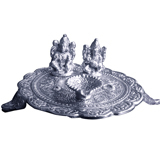 Lakshmi - Ganesh Murti besides crockery items and small silver showpieces are quite popular as Diwali Gifts. Home Decoration pieces are something which people might not buy for themselves but love to receive as gifts. Diwali is the time to make new beginnings, so spruce up the place of your closed ones with resplendent charisma of Wall Hangings, Photo Frames, Metal Lantern, Candle Stands etc.